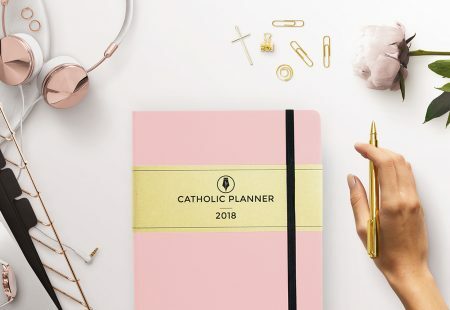 The Best Catholic Gifts Guide For Any Occasion - Over 45 Great Ideas! This time of year is when many people start frantically searching for the perfect gift for every person on their list. 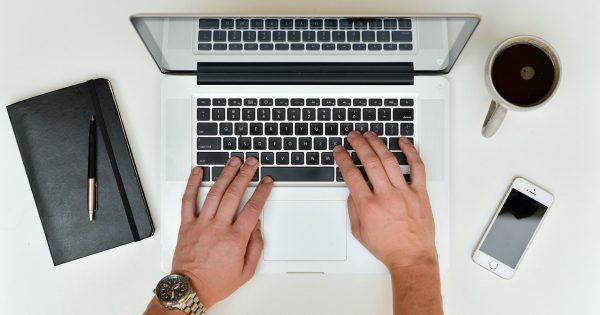 It can be overwhelming, time-consuming, and draining. Many times we lose the joy and peace that comes with Christmas because we are so worried about the gifts. 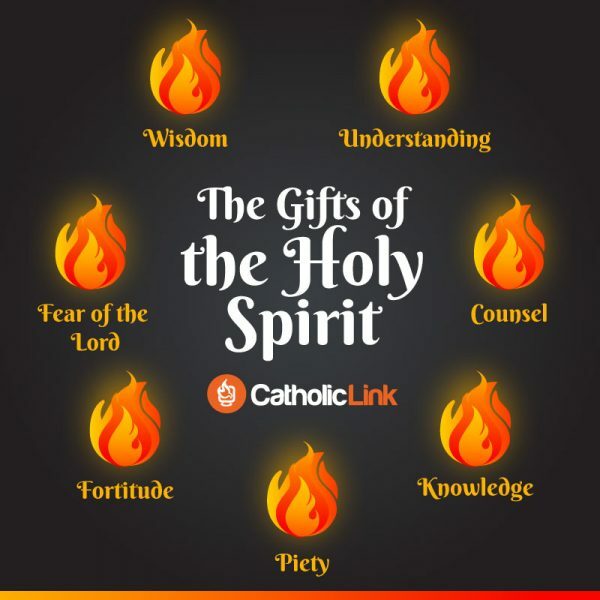 We’ve compiled a list of meaningful Catholic gifts to help you get started. When spending money, wouldn’t you much rather give a present that will help a person to grow spiritually and encourage them in their faith? 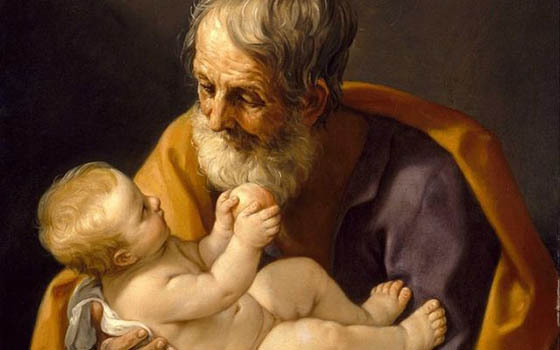 Our list of top Catholic gift ideas is back and even better than our previous years’ lists! We’ve kept some of your old favorites, but added many unique items to our list. More than ever, it is so important that we show our support to local and small businesses this Christmas season, especially those that are committed to selling quality Catholic products. 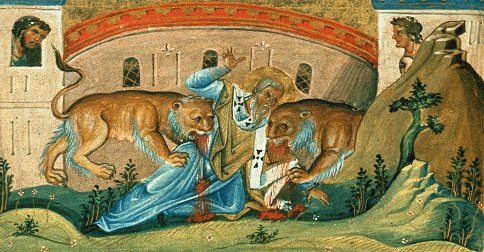 When you buy one of these gifts for the Catholic on your list (or for yourself!) be assured that you will be supporting the ministry and work of businesses that are sharing the message of Christ through their merchandise. 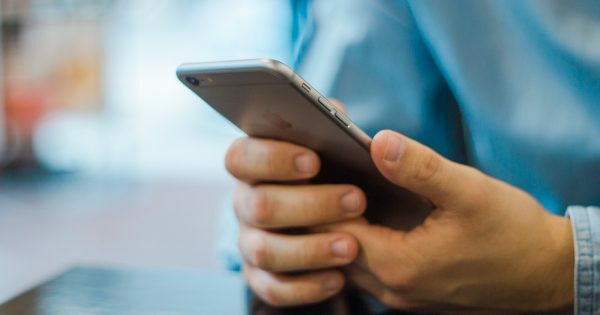 We encourage you to take a look around each of these websites by clicking on the link provided. Be sure to check out the Black Friday and Cyber Monday deals that many will be offering. 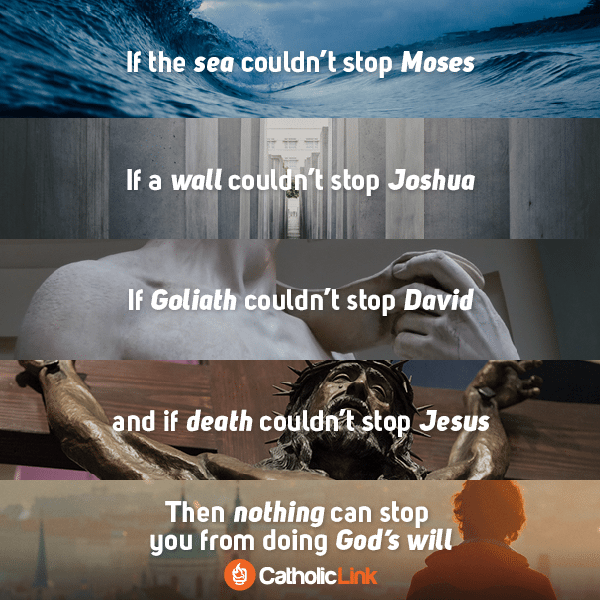 Shop Catholic! 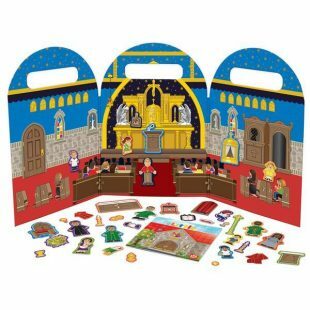 This is such a great gift for any child ages three and up (small pieces!). It’s a personal favorite of mine because my children have enjoyed playing with this set for countless hours. Don’t forget to check out all the other incredible products available from WeeBelievers. Peta Fletcher Designs makes one-of-a-kind jewelry using antique Catholic medals and gorgeous gemstones, like this giveaway necklace valued at $408! Sparkling and muted…earthly and heavenly…colorful and versatile. Dripping with loads of beautiful, multicolored gemstones, this necklace is perfect for anything. There are so many gemstones on this piece: Sleeping Beauty Mine turquoise, white rainbow moonstone, lavender moon quartz, pink tourmaline, silver freshwater pearl, blue iolite and a burst of hot pink quartz. This pendant, a unique and rare antique Catholic medal in gold fix, is stunning. It is the Sacred Heart of Jesus, hand-painted with excellent craftsmanship and detail. The Sacred Heart is the representation of Christ’s divine love. 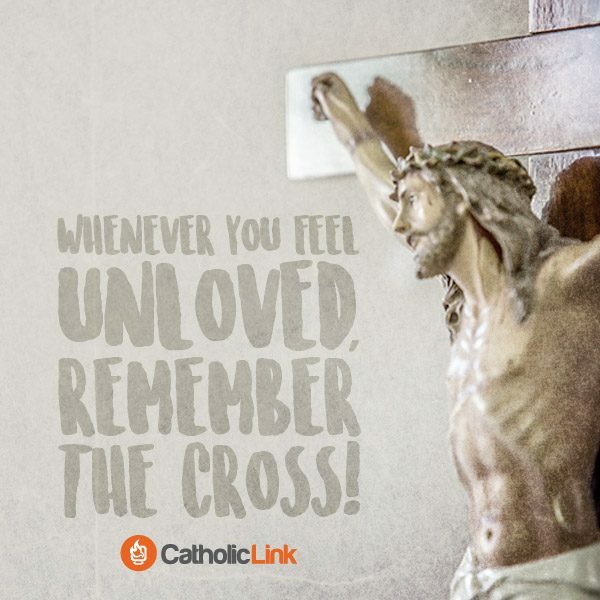 The devotion, one of the most well-known in Roman Catholicism, is especially focused on the love and compassion of Christ towards humanity. Every sweet gem is hand-wired and a simple lobster clasp is used for closure (all metalwork is in 14k gold fill). Many, many hours of design and work went into this one-of-a-kind piece…You can order your own custom Christmas jewelry by December 12 to guarantee on-time delivery! 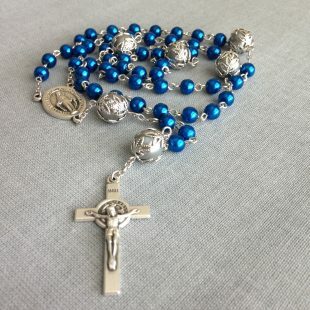 These beautiful pocket rosaries are made by a homeschooling, mother of seven! Natalie offers many choices to suit your taste and budget – from a one-decade pocket rosary to a bronze rosary, as well as rosary markers with your favorite saint attached to keep your spot if your rosary is interrupted. This is a timeless gift that will be treasured for generations. Every year when my husband asks me what I want for Christmas, I immediately send him to the My Saint My Hero website. I can honestly say that I love every single one of the products available! I don’t just keep these wearable blessings to myself. 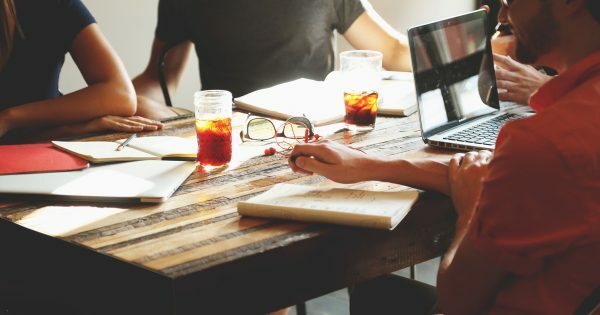 I have found that they make perfect (and affordable) gifts for teachers, friends, co-workers, and just about anyone. The first bracelet pictured is the one that our giveaway winner will receive, and it is part of the men’s line. “Wear this bracelet as a reminder to follow His example and be fearless in knowing you do not carry your cross alone, for “as iron sharpens iron, so man sharpens another.” The Lord’s Prayer Morse Code Prayer Rope is also a part of our giveaway. 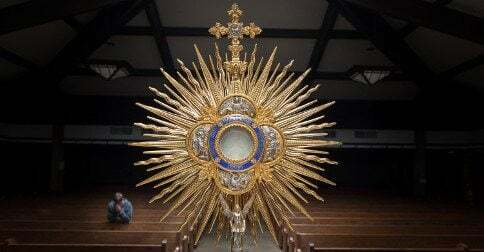 Ancient Christian tradition has a deep appreciation for the power of a symbol. An entire story can be packed into a single simple mark or object. Wear this prayer rope as your symbol of peace, knowing that the Our Father Prayer has been encoded using aqua crystals as the dots in Morse Code and topaz beads as the dashes. May you be wrapped in ancient tradition as you live each day building thy Kingdom on earth as it is in Heaven. The foodie on your list will be all about this one! Great tasting bread, biscotti, fruit and nut bars, and jam all made by a community of contemplative monks, Trappists. Monks’ Bread has been in business for over 63 years baking delicious, wholesome, premium quality products, and all purchases support the prayer and ministry of the monks. This is a win for all involved! 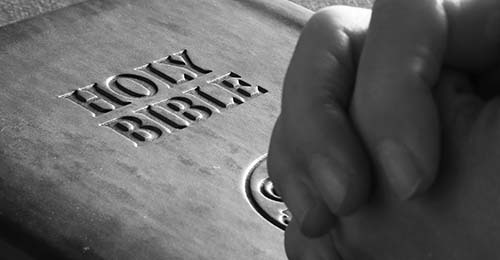 Now on CD, here is the audio version of the New Testament that was chosen by the Holy See for use in the Catechism of the Catholic Church and all official English translations of Church documents. Produced by special arrangement with Ignatius Press this digitally re-mastered audio recording of the Ignatius New Testament: RSV-CE comes in an attractive album of 14 CDs would make a great gift for the Catholic on your list who wants to grow in faith, but doesn’t really like to read. “Enjoy your morning cup of coffee with an extra boost from The Wild Goose!” The Holy Spirit desires a relationship with us that will take us on the greatest adventure imaginable; a journey to the very heart of God. This book is meant to act as a journal for this adventure. In the first section of this journal, you will find a guide for The Wild Goose series. This guide will be a reference for discussion and reflection on the topics covered in each segment. Throughout the rest of this journal, you will find space to write your thoughts, prayers, and any promptings of the Holy Spirit. This journal is not meant just to be a guide for the series but a place where you can keep an account of your journey with the Wild Goose. Whether you are currently watching the series, are just about to start, or have already finished the series, this journal is an excellent tool to assist you in discovering a deeper relationship with the Holy Spirit. 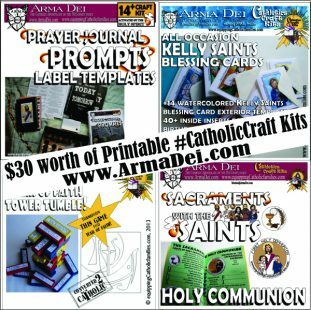 Featuring handmade Catholic Home Decor & Gifts from saint quotes and scripture verses to phone cases and car magnets, you’re sure to find something unique and meaningful for your friends and family! You can request a custom made quote, which makes such a thoughtful gift for any loved one. The Saints are our friends and family in heaven! This is another personal favorite because at 3.5 inches the dolls fit perfectly into the hands of a toddler. My daughter loves to take her Mary doll with her to hold at Mass each week. Shining Light Dolls creates award-winning books and dolls for children of all ages. Meet the Saints. The collectible figures are a fantastic way to introduce your children (or your friends!) 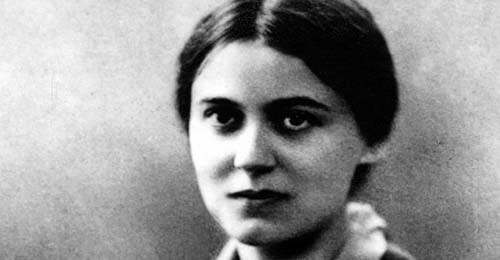 to the fascinating and inspiring world of Christian Saints. Included in the box is a fun and educational insert; learn some fun facts, a prayer, and information about their lives. 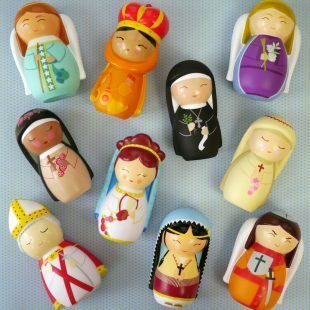 A fantastic blend of new and old, these dolls are a great way to introduce your loved ones to the beauty and depth of the Christian faith. For children, and the young at heart. ShiningLight Dolls donates 10% of all profits to charity. 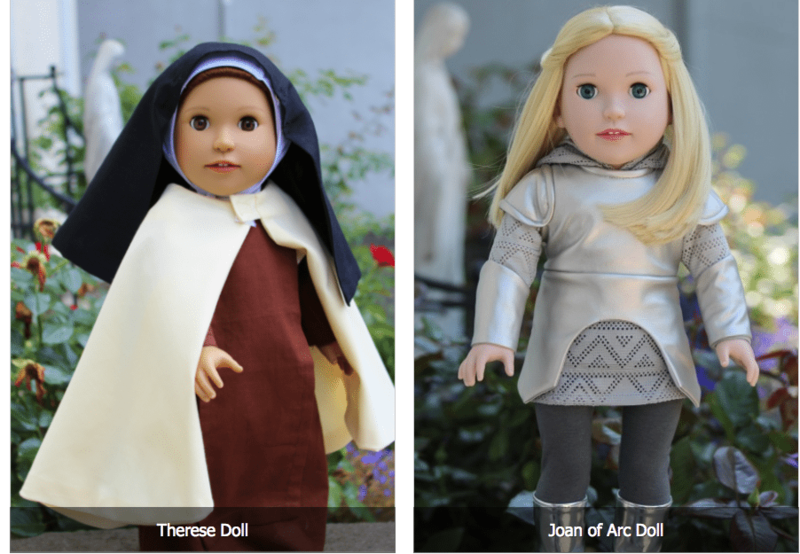 For our giveaway, Shining Light Dolls is providing TEN dolls – St. Pope John Paul II, St. Catherine of Siena, St. Kateri Tekakwitha, St. Cecilia, St. Rose of Lima, St. Hildegard of Bingen, St. Michael the Archangel, St. Gabriel the Archangel, St. Raphael the Archangel, and Our Lady of Vailankanni! Trendy, Catholic t-shirts will make anyone happy. It’s fun to wear your faith! These trendy t-shirts would be a good choice for a teen or young adult. A stylish and subtle way to evangelize, while also looking good. Our giveaway winner will be able to select the t-shirt of their choice and will also receive this cool mug. This image represents the tenderness of our lady with the child Jesus. What femininity! What strength! What love! Hail Mary full of grace, the Lord is with you. 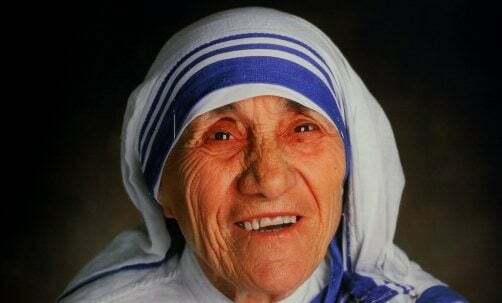 Blessed are you among women, and blessed is the fruit of your womb, Jesus. Whether you’re drinking your morning coffee, your evening tea, or something in between – this mug’s for you! It’s sturdy and glossy with a vivid print that’ll withstand the microwave and dishwasher. Use your “Mother and Child” Christian Catholic mug from PAL Campaign to represent great faith, and great art! St. Lucy is the Patron saint of spiritual vision and eyesight. In this box you get a pair of sunglasses to keep your eyes fixed upon God. You also get Virtual Reality goggles to keep you in wonder of God’s creation. You also get a framed picture of St. Lucy holding her eyes as they were pulled from her eye sockets at the time of her death. 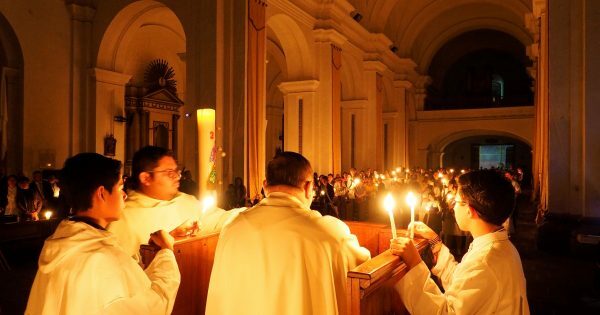 Also, receive a liturgy to pray with your friends and family and watch the lanterns fly in the air. 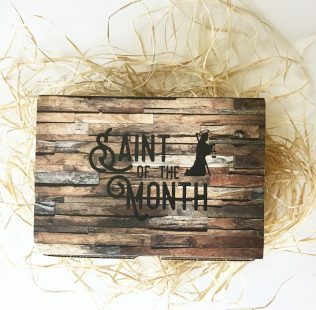 Saint of the Month is a monthly subscription box which will include information about the particular saint in the form of a book or pamphlet. The box will include a list of Goals that will have specific tasks for that week. The tasks are aimed at helping you grow in a specific virtue such as patience or Love. You may be asked to write a poem to share with other subscribers or perhaps tell a friend how much they mean to you. 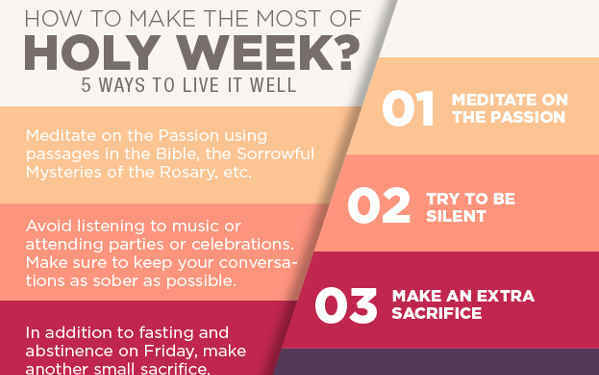 Upon completing these tasks you may open the gift for that week. The unique 4-5 gifts will be centered around the theme of the saint. These gifts will be anything from candles, accessories to home décor, motivational items, or devotional items. We will curate a box in a way to help you grow in holiness. 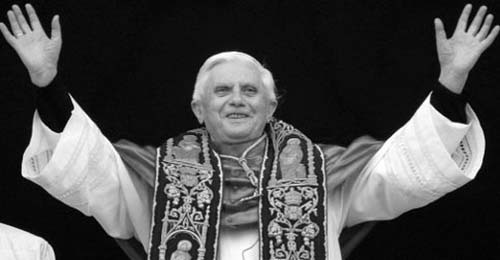 All are called to the perfection of charity, to be perfect as your heavenly father is perfect. (Mt. 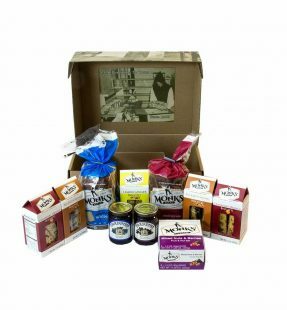 5:48) You can check out our past boxes and order online at www.saintofthemonth.com. 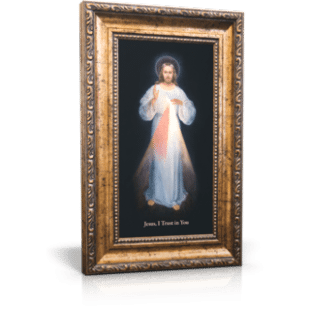 The Divine Mercy image by Eugene Kazimirowski in Vilnius (commonly known simply as “the Vilnius image”) was painted under the supervision of St. Faustina Kowalska and her confessor, Bl. Fr. Michael Sopoćko. 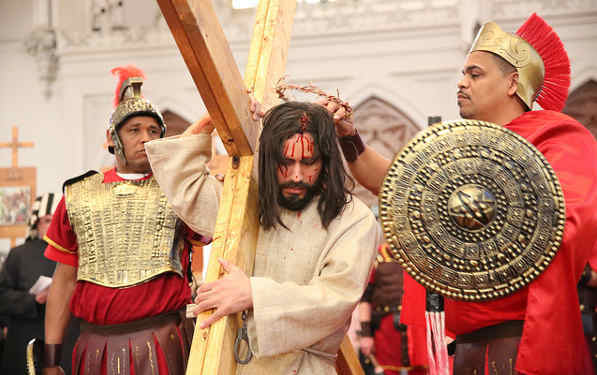 The image was venerated publicly for the first time in 1935 during the closing celebration of the 1900th Jubilee of Redemption. 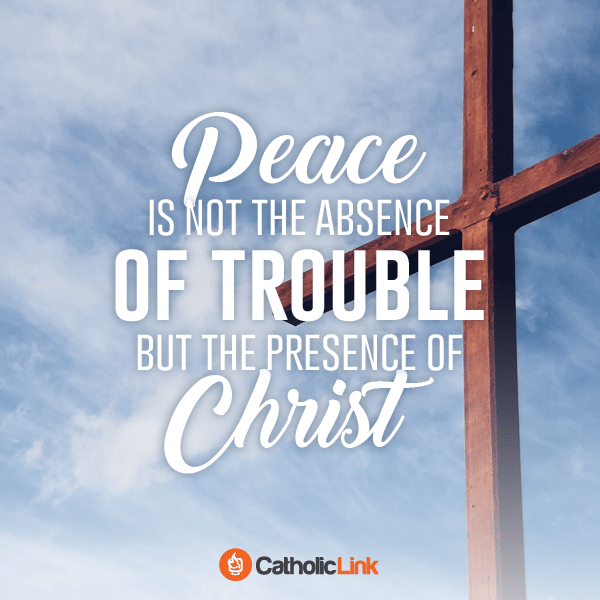 The words “Jesus, I trust in You” will bring calm and peace to any home. The four volumes in this collection coincide with the four sections of the Catechism: Creed, Sacraments, Morality, and Prayer. At 3 to 8 minutes in length, VCAT films can be used in any setting as stand-alone content or as the complement to a theme night, a speaker, or a lesson plan. Pastors, catechists, religion teachers, and youth ministers will celebrate the creativity and relevance of their content. 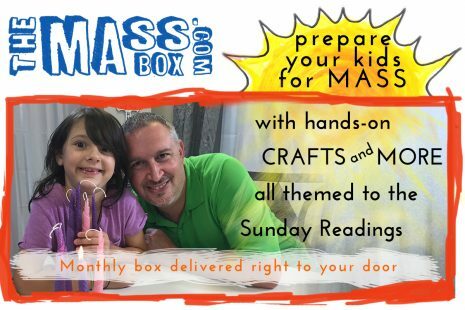 The Mass Box gives you everything you need to do crafts themed to the Sunday and Holy Day readings with your 4 to 8-year-old kids with zero prep time! It even includes a webisode show to show you how to make and discuss the crafts, a magazine with the readings, instructions, and activities, and all the specialized craft materials delivered straight to your door every month! The giveaway is 3 months of the Mass Box One Child Kit (December to February – a $75 value including shipping). 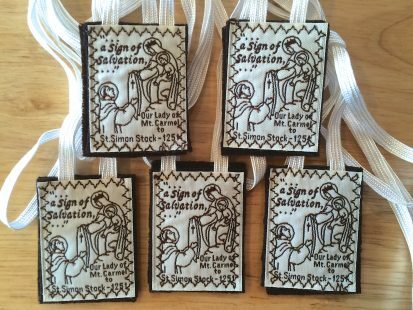 Handmade Catholic Shop, home of “Quality Religious Items Made in the U.S.A,” is including in the CatholicLink giveaway a set of five brown scapulars, a St. Andrew Christmas Novena chaplet, and a holiday novel, The Christmas Picture by Catholic author Therese J. Roberts. The scapulars are great sacramentals for the whole family, the chaplet a wonderful preparation for Christmas, and the novel a heartwarming story filled with faith, family values, and romance that is a page-turner perfect for the holiday season. Handmade Catholic Shop’s unique gifts can be found at their website handmadecatholicshop.com or at handmadecatholicshop.etsy.com. These are just so darn cute. 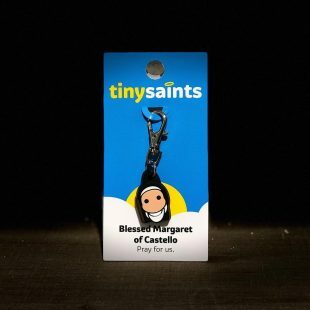 Tiny Saints offers tiny saints (surprise!) on a keychain. You can clip these charms to your keys, backpack, or even a pet collar. 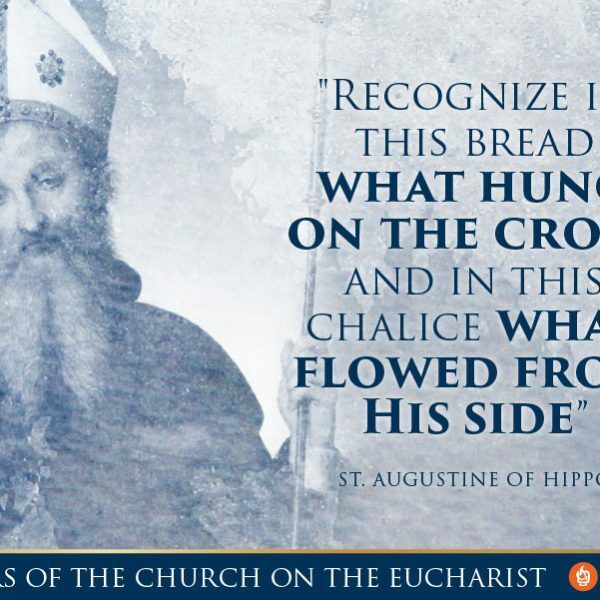 There is a wide variety of Saints to choose from and you are sure to find one that is special to you and your family. At just $5, they are the perfect gifts for teachers, friends, or to use as stocking stuffers. Tiny Saints also sells board books, bracelets, and rosaries. 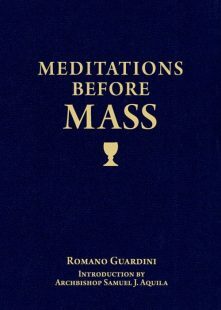 The profound wisdom found in this Romano Guardini classic will help you to quiet your soul, concentrate your mind, and grow more receptive to God’s grace in the Holy Mass. 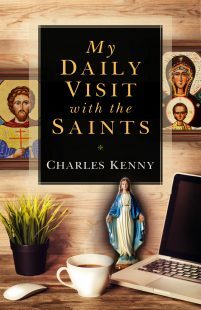 Written for ordinary Catholics who are struggling to become closer to Christ, Meditations Before Mass is full of wisdom and yet offers practical, straightforward advice that will help you overcome distractions and restlessness while leading you into a more enriching experience when you enter into Holy Communion with God. 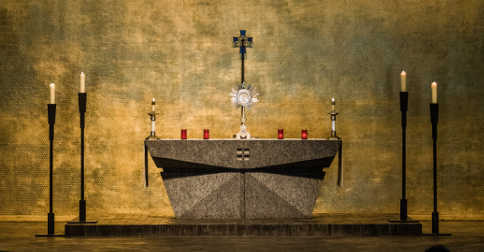 (Beatification process for Guardini opened in December 2017. CheruBalm’s owners and creators are a Catholic husband and wife team with 5 kids. If you were able to smell this product right now, you wouldn’t waste another second to order! It’s really incredible. 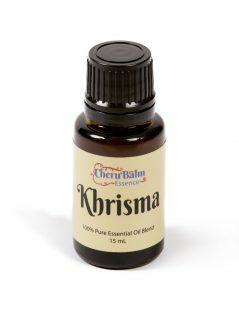 Inspired by the saintly scent of Chrism Oil, this 100% pure essential oil blend can be used for diffusion or other aromatherapy techniques. Fill the air around you with the smell of Baptism and Confirmation! Contains essential oils of patchouli, nutmeg, and clove bud. Not recommended for topical or internal use. This essential oil blend can be purchased on our website. Yes, this a gift for children, but speaking as a parent they are just as much a gift for parents. The Cat Chat CDs offer catchy, faith-based songs and solid Catholic teaching in the form of entertaining stories that kids love. Why will parents also love Cat Chat? Car rides. These CDs are perfect to keep kids occupied and quiet while you are in the car. My kids listen to these stories over and over! The Ultimate Catholic Comic Book is a collaboration between Tom Gould of Tomics, Jason Bach Cartoons, Pat Cross Cartoons, and John Smillie of The JRS World. 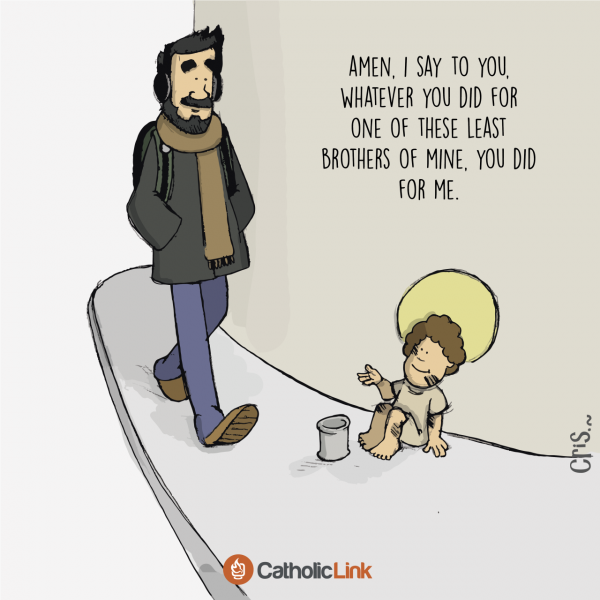 This book holds never-before-seen cartoons and comics that are all about our Catholic faith. The book was Kickstartered last year by hundreds of fans and now this book is available everywhere. People all over the world are loving this book! Radiant is a modern, classy magazine covering traditional topics of the Catholic Church and applying them to the lives of young, Catholic women who are searching, learning and living out their unique calling with style, elegance, beauty and grace. This magazine seeks to uplift and empower young women, and is a great gift for a teen or young adult! There are so many great gifts for parents (homeschoolers! ), teachers, and catechists available at Arma Dei. For our giveaway, the Super Saints deck of 54 Saints Quizzing Cards in a Saint-Stamped canvas bag will be included. The only SAINTS cards you can play real card games with! 54 Saint Cards in a glossy printed box. These Super Saints Cards offer full-color Kelly Saints illustrations, quick and quantifiable facts and a short biography for quizzing and friendly war card games. 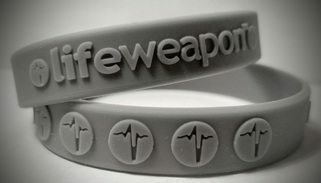 What is lifeweapon? It is a wearable prayer band. “The band serves as a reminder to pray, like tying a string around your finger… use it to pray. 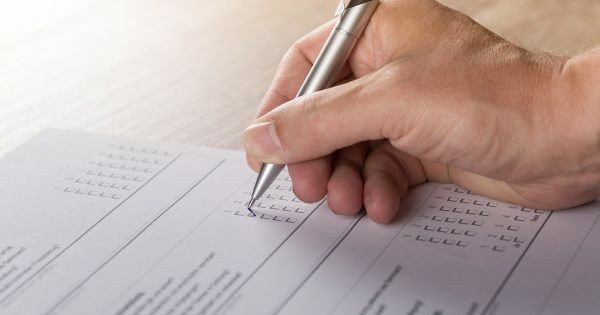 run your thumb along it and pray the Jesus prayer. Pray the Rosary for it. Rub the heartbeats like a worry stone.” At just $1, the lifeweapon prayer bands make a great gift for a class, small group bible study, or co-workers. This company has a great mission and a desire to see more people praying! Great stocking stuffers or secret Santa gifts! Through heartfelt piano melodies, John Finch has a desire to prepare a place for people to meet God in the intimacy of worship. 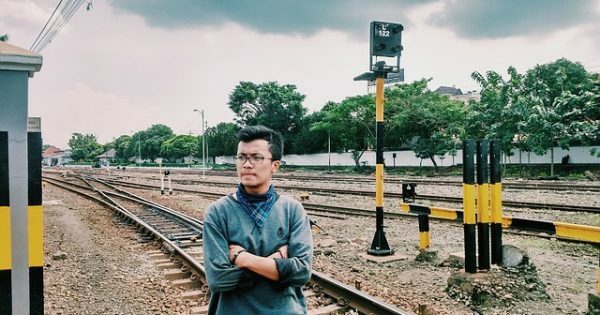 In his latest album “Wildfire”, he shares a collection of songs with themes of freedom, healing and purpose. Partly inspired by Deuteronomy 4:24, a reminder that we are all called to live boldly in the love of the Father, a love that burns both wild and free. Also included is a small pocket-sized journal to take along for the journey made from recyclable materials, whether it be used for prayer and reflection or simply a place to write day to day. Virgin of the Angels (also known as Song of Angels) depicts the peaceful Mary and baby Jesus asleep, surrounded by nature, as three angels play them a lullaby. All the figures are painted with beautiful, ethereal, perfection. The three angels in Vierge Aux Anges are also a foreshadowing of the nature of the Holy Trinity. 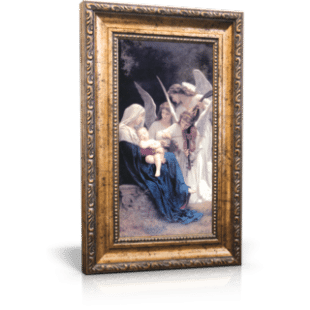 Canvas printed, scratch resistant image in a lightweight glassless frame. Everyone has a coffee lover on their list! We highly recommend this gourmet coffee roasted by Carmelite Monks in Wyoming. 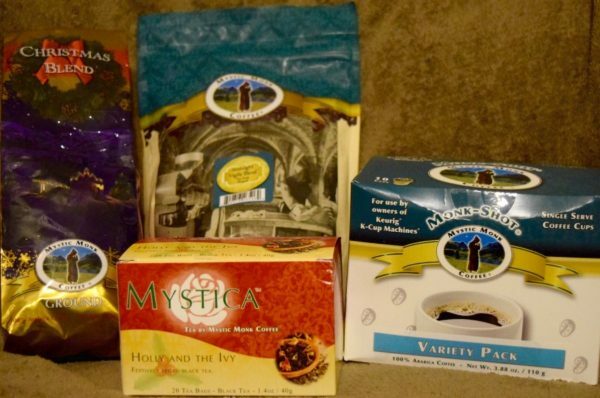 “The monks put all of their drive for perfection into every roast of coffee and every coffee blend they produce.” They have a vast selection of coffee, teas and all the products needed to make it.” Coffee made by Monks…a taste of heaven on earth?! In this 100th-Year Anniversary of Our Lady of Fatima, we are honored to release the Graphic Novel based on the Apparitions of Our Lady of Fatima Our Lady of Fatima Graphic Novel is packed with attractive full-color pages of the miraculous events. The reader will take a trip back in time with Jacinta, Francisco, and Lucia to re-discover the events that took place when Our Lady appeared to them in Fatima, Portugal in 1917. This commemorative, hardbound book helps the reader to not only visualize the heavenly apparitions, but challenges them to apply the messages of Our Lady in this day in age. Let us take to heart the call of Our Lady to repentance and reparation, for we know that the message of Fatima is “relevant now more than ever” (Pope St. John Paul II, May 13, 1982). My children love their prayer pillowcases. These have helped with bad dreams and nighttime anxiety. Through his intercession, Saint Michael gives all ages the wisdom and courage to fight for others. 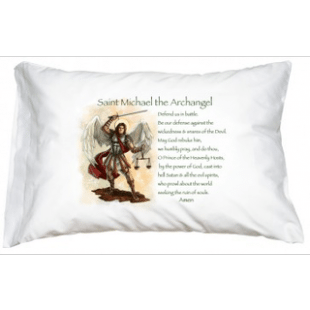 Whenever we feel threatened or fearful the Prayer to Saint Michael can bring comfort in its assurance that the Prince of the Seraphim is fighting for peace right alongside us! 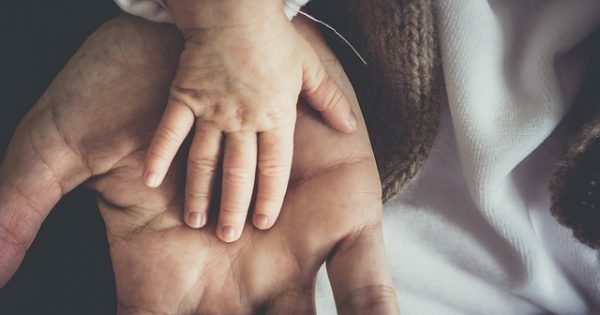 And when we teach our children his prayer, we’re giving them a gift for life, a bottomless reserve of spiritual strength, security and reassurance. 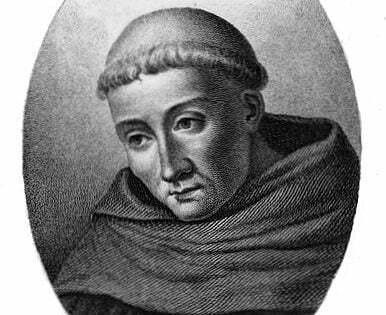 Check out the many other Saints and prayers that they have available. Miseris Cor Dare creates unique, handcrafted rosaries that are designed to inspire prayer and lead us to His Heart, through Hers. We think that it is important for your rosary to be beautiful, so that you will want to pick it up and pray it more! The rosaries, made with pearlized glass beads or gemcut beads, come in a variety of vibrant colors and are each given a special name – many of them in honor of the Blessed Mother. Many of the rosary designs are also available as rosary bracelets or decades. For our giveaway, you will receive the Ave Maria Rosary. Danielle Noonan, a songwriter, worship leader and musician, began leading music at the age of thirteen at her small mission parish in East Texas. With her soulful passion in her recent album Undone, Danielle shares her journey of authenticity, healing, and true goodness of Christ that she’s witnessed in her life and in the lives of her family. As the youngest of 14, who is also an adoptee, her unique and prayerful insight as a daughter of Christ shines through her music and strives to promote the dignity of all people as well as the beauty of Christ meeting each person right where they are. Danielle has been leading worship for churches, youth groups and retreats professionally the past five years. 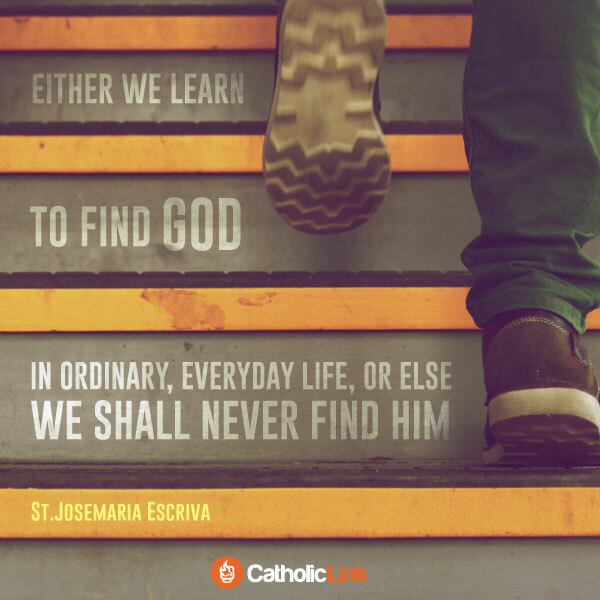 The Marriage Care Novena is a 9-day adventure designed to help couples put God at the center of their marriage. Based on the experience of Lorrie and Don who were struggling in their marriage until they invited God in, this practical book will give struggling couples hope and strengthen the marriages of happy couples. 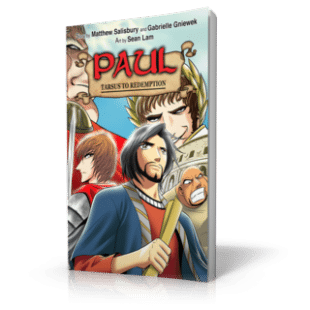 This unique, one-of-a-kind graphic novel allows you to look at the apostle St. Paul ways that are unique, scriptural, and entertaining. This paperback graphic novel is three hundred and twelve pages and is recommended for ages twelve and older. The newest title in the internationally best-selling “YOUCAT” series for youth and young adults, this outstanding Bible features the creative elements of the best-selling YOUCAT youth catechism and the DOCAT social teaching handbook. 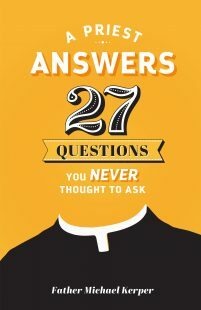 It’s filled with engaging photos, clever and fun illustrations by YOUCAT’s award-winning designer, insightful sidebar quotes from great thinkers, Catholic saints and leaders, past and present, and young people living their faith today. A dangerous, homeless drifter who grew up picking cotton in virtual slavery. An upscale art dealer accustomed to the world of Armani and Chanel. A gutsy woman with a stubborn dream. A story so incredible no novelist would dare dream it. 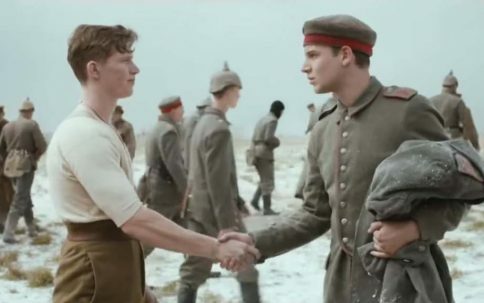 Gritty with pain and betrayal and brutality, this true story also shines with an unexpected, life-changing love. Made from an all natural blend of almond oil, shea butter, beeswax, cocoa butter with blends of essential and aroma oils to create our signatures scents – chrism, lection, holy smoke, Franciscan, and orthodoxy. Another great benefit is that proceeds go directly to support Catholic youth ministry! Do you know someone that is constantly losing their keys?! Perhaps, a St. Anthony keychain is just what they need this Christmas! 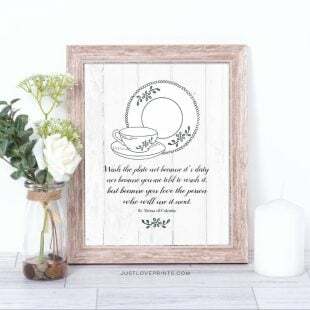 The hardworking stay at home mom of four who runs Ave Maria Faith Crafts loves to create meaningful, personalized pieces to help others grow spiritually. Check out her shop! This is a wonderful gift for the person on your list who loves to exercise and pray! Check out their great selection of DVD and digital download workouts. 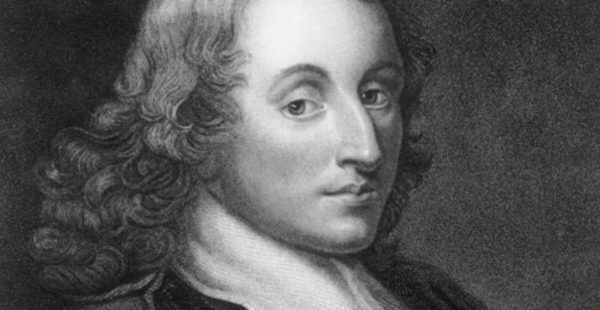 “Be who God meant you to be, and you will set the world on fire!” Those words are at the heart of Be Yourself! A Journal for Catholic Girls, which is designed to help girls explore their identity and purpose in life in light of the wisdom of the Catholic Church, including half a dozen female saints. Packed with gorgeous, full-color line art, quizzes, journaling questions, and inspirational quotes from the Catechism and Scripture, the Be Yourself! journal leads girls to discover that they are beautifully and wonderfully made…and that they have a unique, God-given mission and purpose in the world. This is a great gift for girls ages 9 and up. Maybe a material gift is not what you are searching for at all! Donating to help alleviate poverty in America to Catholic Charities or spending time giving your talents to serve others in a friend or family member’s honor is a thoughtful gift for the person who seems to have everything. Of course, the ultimate gift we can give to anyone our list is the gift of prayer! Check out PrayMoreNovenas.com and find out how you can commit to praying a novena for a friend or family member. Congratulations to Megan B. from Nebraska who won our Amazing Catholic Gifts Prize Package ($2000 Value!). Be sure to sign-up for our emails so you won’t miss out on next year’s giveaway. 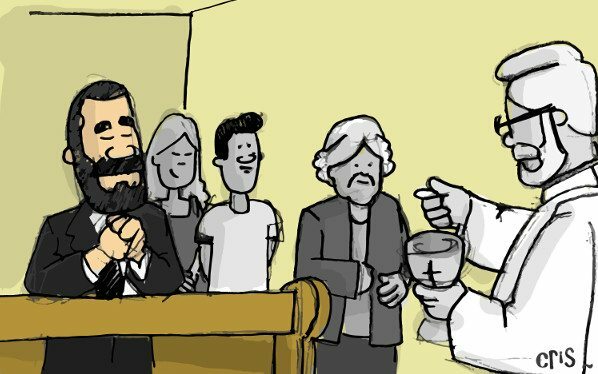 What’s the big deal about Baptism?